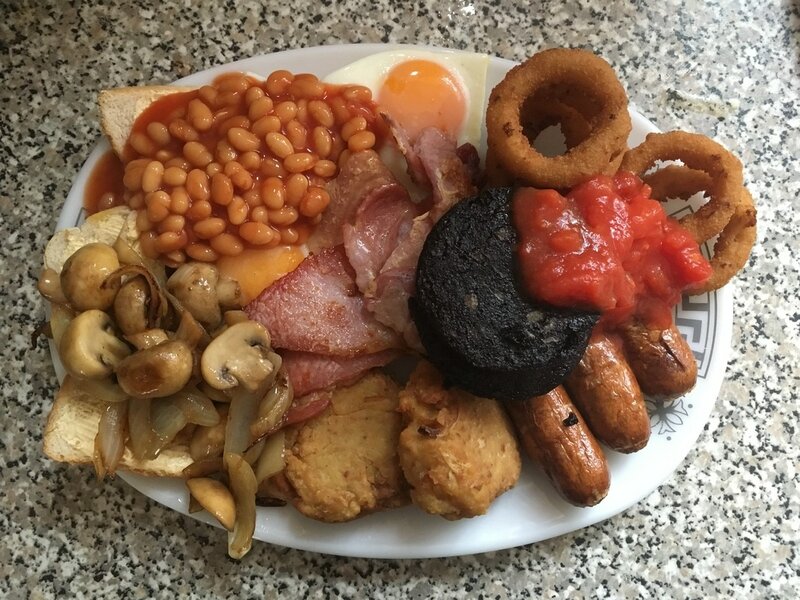 My husband loves a Big breakfast and last weekend he asked me for a rather large one . When I say large , he really means a gutt buster and by that he means everything on the plate you would expect to find on a breakfast which would include one of his favourite parts, Hash browns . For some reason I totally forgot to buy the usual frozen ones and felt a little guilty I did not have any at hand but trying to please as always , I decided to give making my own a try and wow how I never realised the ingredients were as simple. I wrote down all the ingredients needed and placed them all on the board ready to prepare. To make 12 Hash browns. Frying pan or Fryer depending on which you are using for cooking . I've decided to make these as simple as possible with plenty of pictures to share as we go through each step . 1. Gather your potatoes and peel them. 2. 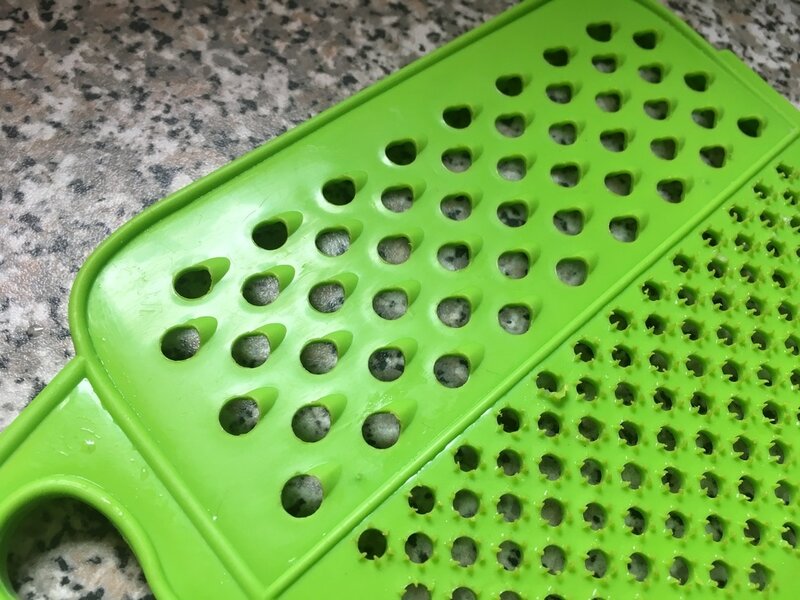 Using the large of the area of the grater , grate all of your potatoes. 3. You need to grate the potatoes into one of the bowls . 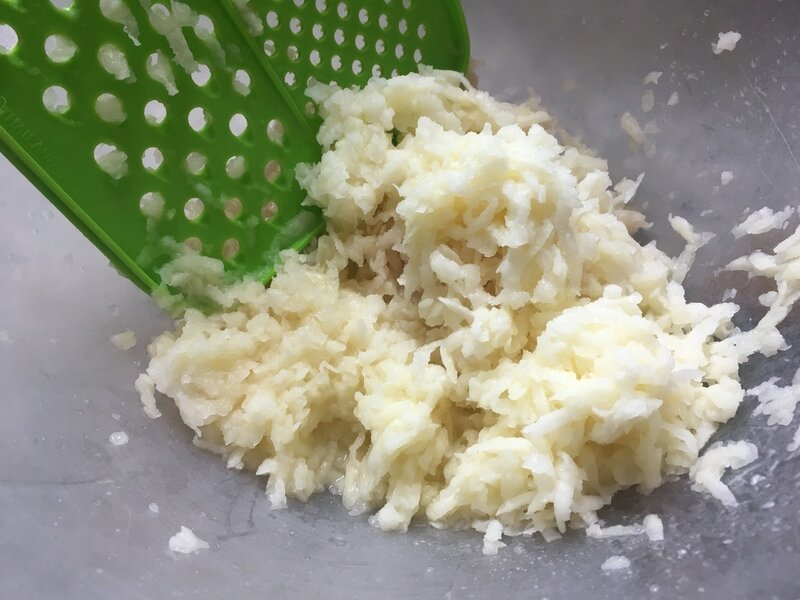 Once grated , ensure the water runs clear and all the excess water is drained. 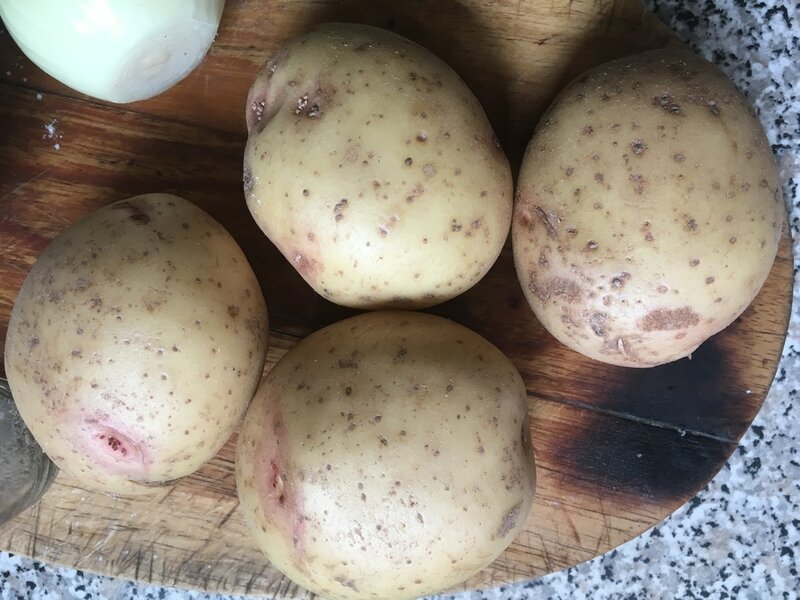 Squeeze the excess water from the potatoes and place into a clean bowl. 4. 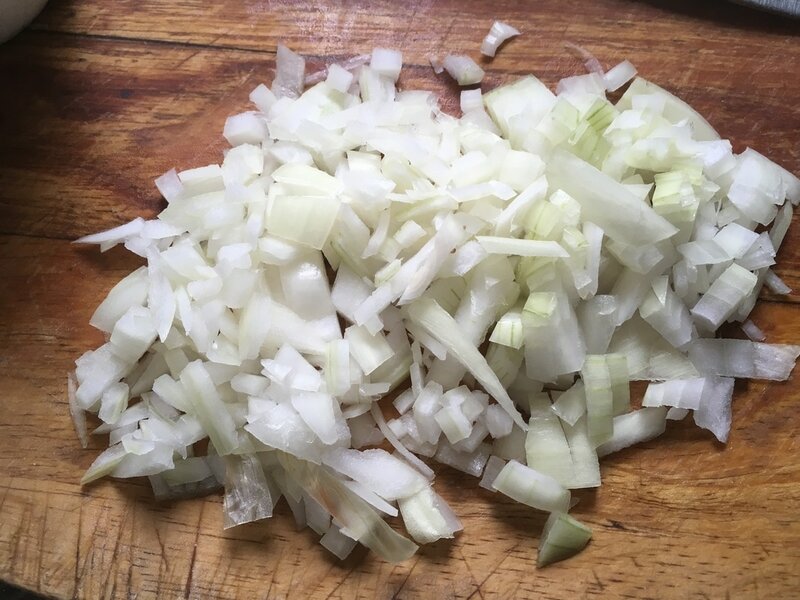 Finely chop half an onion (I'm not great at finely ). 7. 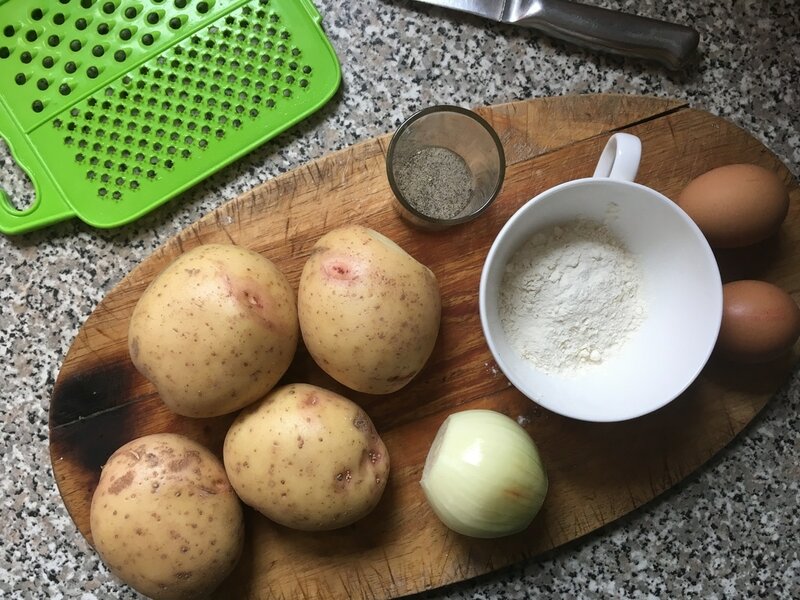 Add your Onion, Eggs, Flour and seasoning into the grated potatoes and mix equally into one bowl. 8. 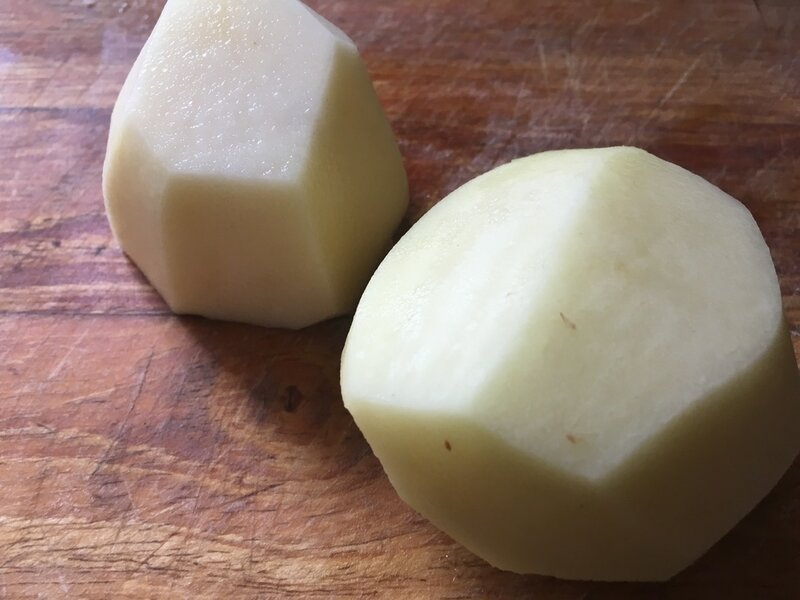 You want to ensure that your hash browns are not too thick , so try making a small ball in your hand with a small amount and flatten it in the palm of your hand making it into a oval like shape . You may need a little extra flour to help with this . Tip : Try not to use too much flour, this will then make them into a bread mixture which I found the kids found really tasty. 9. Ensure your oil is very hot So you should have the heat on high. You can fry these in shallow oil or deep pan it is up to you but I tried both and found shallow pan fry was the better outcome. It sealed the seasoning and flavour better. 10. Placing your oval shaped hash browns carefully into the pan of hot oil , leave to fry each side for approximately 3 minutes each side or when golden brown before turning over and repeating on the other side. 11. To serve , place on a grease proof paper or towel and then add to your meal . My husband was over the moon with his breakfast. 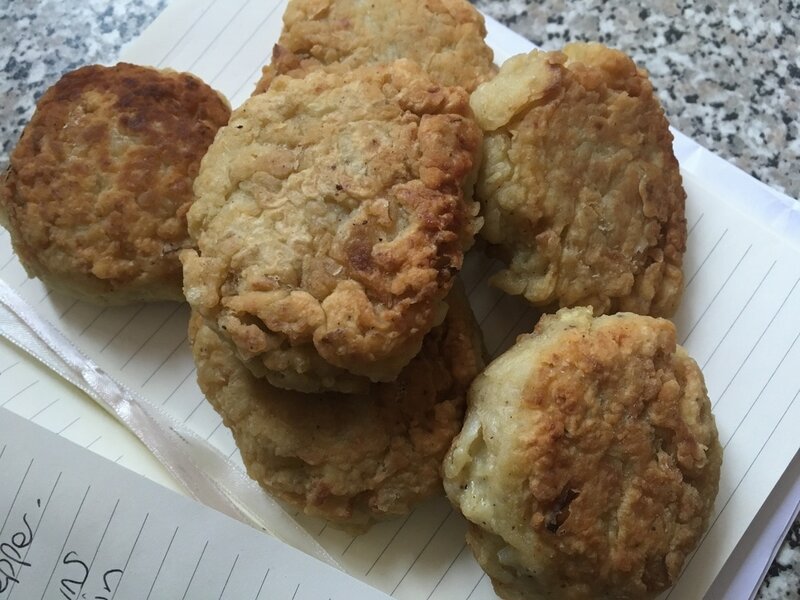 The reason I thought I would share this with you was because he said that they tasted better than the shops and I found them really easy to make . You can add different seasoning t your hashbrowns, I am attempting the cheesy ones next , keep an eye out . Hope you might give them a try , If so let me know what you thought of them. How much money have you wasted on ordering takeaways and does it consist of layers of grease lying on the bottom of the tray? 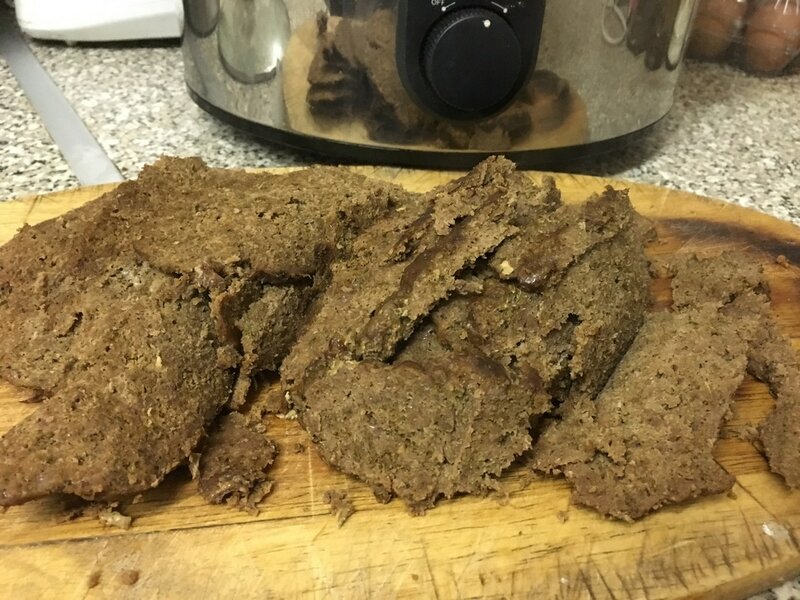 Well last week I decided to give the Fakeaway Kebab a try and wow , I won't ever be ordering another again, from now on I will be making my very own and it is the most simplest recipe with the very least effort into making it . Combine the Garlic Powder, Cayenne Pepper, Oregano, Salt and the Mixed Herbs altogether into one bowl and mix them together to make a season. 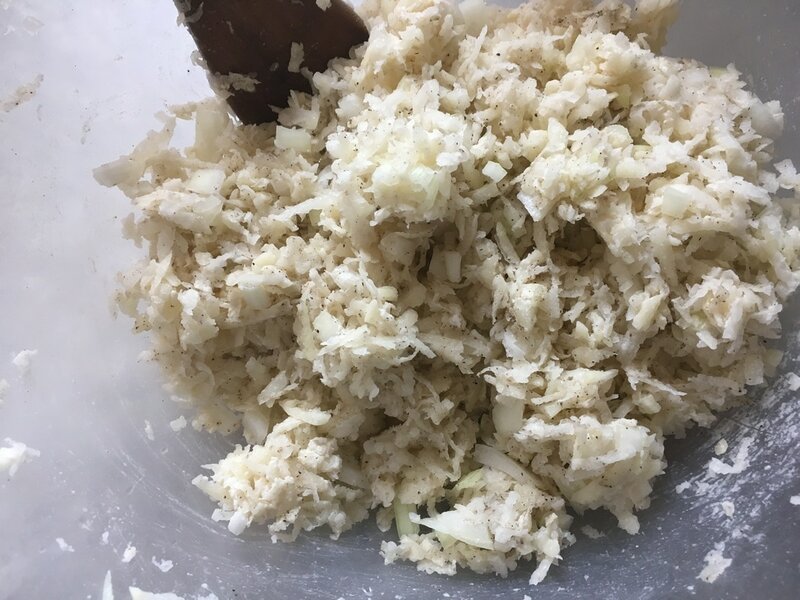 Add the Lamb Mince to the Mix of season and knead into a smooth texture ensuring the season has worked through all of the Mince evenly. Turn the Slow cooker onto Slow or High settings. You can slow cook your meat on slow for 6 hours or high for 3, it all depends on how long you wish to wait. 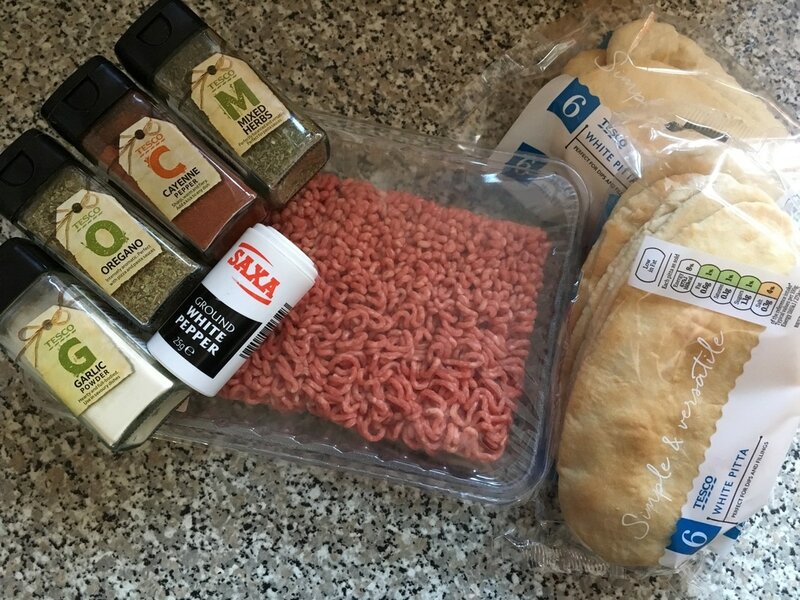 Roll and mould your Mince mixture into an oval loaf shape and wrap foil around it securely. Place your loaf into the slow cooker and put the lid on the slow cooker and set the timer . When the loaf is ready, take it out and remove the foil, slice into thin slices and serve. I swear , the smell that comes from your kitchen is absolutely amazing. I had prepared and put mine in at dinnertime as it was a meal I was preparing for my husband for our Valentine evening for when he returned home from work. I spent the hours whilst it was slow cooking preparing the house , candles through the home and petals showered my floors , Valentine was not just another day for us but also an anniversary from when he proposed to me so I wanted to make it extra special by making him something I knew he would enjoy instead of just ordering it in and throwing it on a plate like we would normally do. It was just a little thing that made the difference in a whole evening . The good thing about this was that this meal was perfect for those evenings out. ​I know so many friends who go out for the evening and pop into the takeaway to grab a sweaty kebab and this is ideal for preparing and leaving for when you get back and the good thing about it is it's so much healthier and so much tastier. 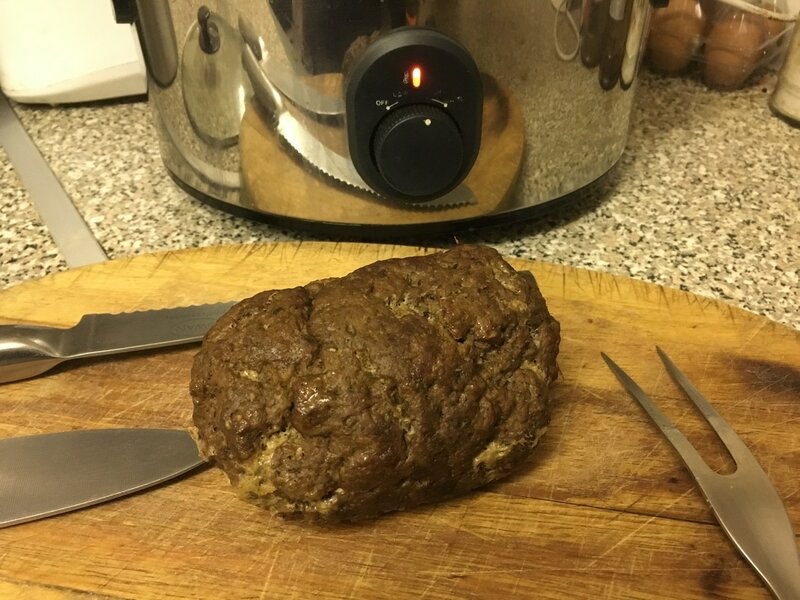 You can also make this in an oven but personally I love using my slow cooker due to lack of utensils needed and less cleaning, plus I get to leave it to do all the work, no need for constant checking or stirring or flipping over and even better when I need to pop out its safe to leave. My children Love kebab but I don't like them eating it being so greasy and so this version makes me feel at ease knowing its healthier and more fresh as well as being able to add less spice allowing them to enjoy it more . 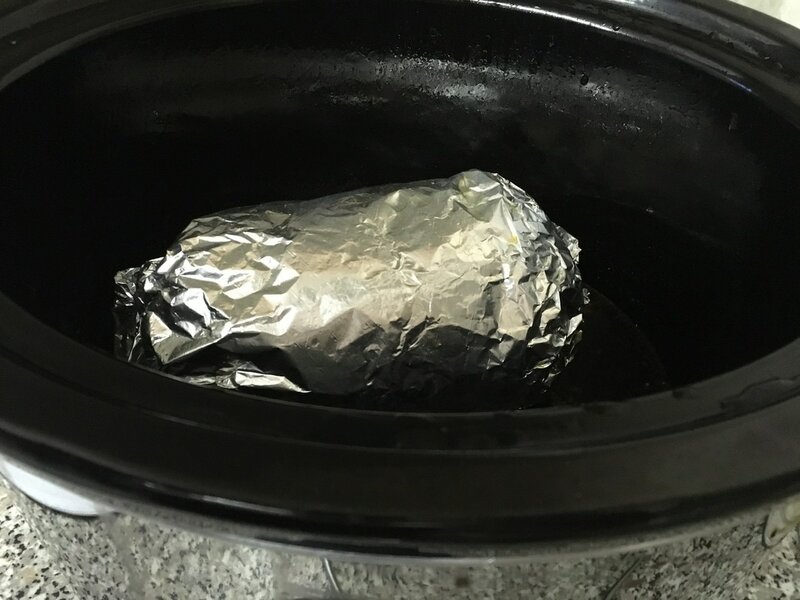 you do not need to wrap your loaf into foil , you can place your loaf directly onto the bottom of the slow cooker or you could roll a bowl of foil or add a tray onto the bottom to keep it up from any juices or oils that may be made from the slow cooking. You will find that there is rather a lot of Kebab left over . The thinner you slice it , the more you will get from it as we had ours rather thick we easily have got 8 kebabs . If you decide not to use it or can not eat it all at once , then you will be pleased to know that this is freezable and as soon as it is cooled you can cover it and place int the freezer for another time. When your ready to reheat, just 10-12 minutes in the oven at 190 ºC, 375ºF, Gas mark 5 or in the microwave in a sealed container for 2 minutes will be suffice. 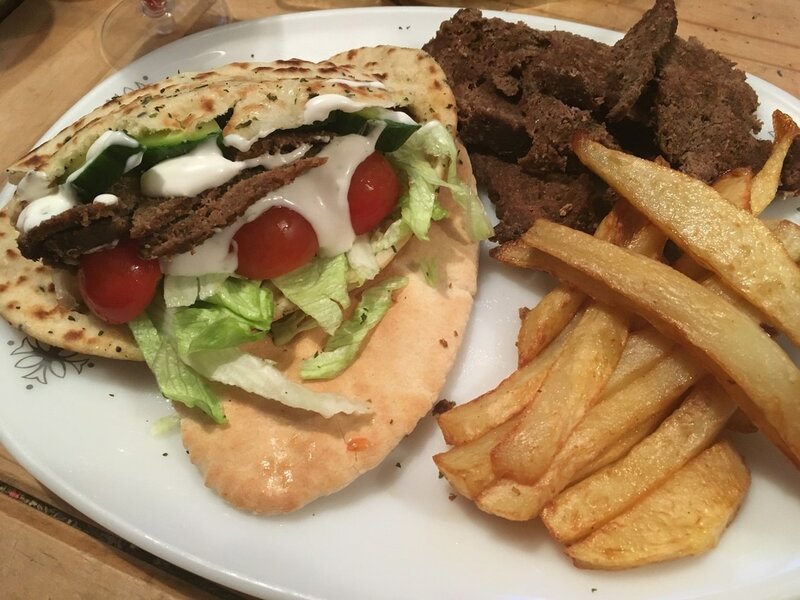 We personally loved our Kebab served in a warm pitta with homemade chips and salad , having a dash of chilli or Garlic mayonnaise is always a must for us but its all personal preference so its up to you how you wish to eat this. My husband loves this thrown into a pan with mushrooms, peppers and onions with a little Gravy into a bread bun. Whisk mayonnaise, garlic, lemon juice and 1 teaspoon oil in small bowl to blend. Season with salt and pepper. 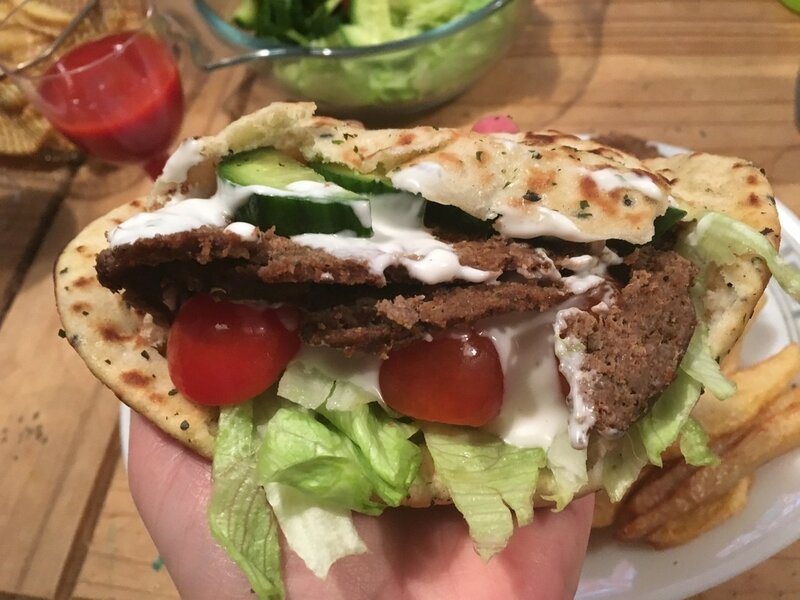 We absolutely loved this Fakeaway kebab and will definitely be making it more regular . Have you made your own Fakeaway , perhaps there is another recipe you could share . Symprove your IBS, Does it work? Since having my youngest son nearly 5 years ago now , my body has changed dramatically. Not only have I curves in all the wrong places (or right if you love a motherly figure), but I have also had a lot of problems with my stomach , my gutt , my digestive system, which ever you want to name it. The problem that has occurred is that with every single bite of food , need that be a healthy apply or a slice of pizza (it really doesn't matter) , I seem to have a huge issue of digesting the food properly and the food not breaking down as it should do and it has given me even bigger problems meaning I am often left with stomach cramps and dramatic bloating . The stomach cramps have been narrowed down in some cases to when I eat white foods such as rice, pasta, bread and such and although I love a good fresh sandwich I have had to try my hardest in avoiding them because just one half of a sandwich could leave me bloated and in pain for up to two days. There have been times when I have awaken during the night in soaking sweats and excruciating stomach cramps , the need to run to the toilet but sit in absolute pain not being able to do anything but curl up in agony is something I have done on many occasions and I believe my anxiety has had a huge impact on that . Some studies have been suggested that IBS is also linked to those who suffer with Stress and Anxiety of the everyday lifestyle and also an unhealthy diet and I have to agree with them after trying out my own experiment. Over Christmas I sat myself like a woman who needed a padded cell and spoke to myself suggesting how I go about making more of my life than I currently was . Smoking - smoked for 16 years and no longer enjoyed it but felt stuck with an addiction that was leaving me feeling physically sick and also time wasting, I have since stopped smoking, on my 5th week quitting totally and already feeling that my anxiety has lessened and also my appetite has changed , I also wake up each morning not wanting to vomit due to not having phlegm clogging up my airway each day. Drinking - Although I do not drink a lot of alcohol, I do however drink lots of fizzy drinks especially before going to bed, which made me bloat dramatically leaving me with pains in my stomach from trapped gas , I have cut down to one or two glasses only and am still trying to quit altogether but even cutting down a couple of glasses a day , I have noticed a huge difference I'm the reduction of my bloating and niggling pains. Eating better - I really am the type of person who will eat anything , I love my savoury foods so I am not the type of person who will sit and enjoy chocolates and sweets. I prefer the meats and cheeses and to be honest that is where my problem lies. I am such a cheese freak and I can often find myself (not everyday ) eating a whole block of Stilton cheese on crackers or crusty loaf and again the mix of cheese and wheat gives my digestive system a squeal for help. I have been trying my hardest to lower my intake of both items and start eating more vegetables and salads (which I absolutely love ), I basically need to learn to eat breakfast, dinner and tea which is another bad issue I have with eating, I have never been one for eating in the morning and they do say it is the most important meal of the day. Sleep - Since being around the age of 16 years old, I can not remember going to sleep before the hours of midnight and I have always wanted to be able to go to bed at a normal time like 9 or 10pm , get a full night sleep and wake refreshed but instead I seem to have got myself into a routine where I spend all my nights and days up and sleeping for only 5-6 hours leaving me tired, grouchy and sometimes feeling ill . For the past week, I have seen this dramatically change and I have been going to bed between 9 and 10 and sleeping through until 8am when I have to be up for the children for school and to me that is amazing. I am feeling so much better in my self and I think it has made a huge change in my days behaviours , sleep is one of my biggest concerns due to the fact I feel this is when my anxiety triggers most and I have had anxiety which has showed through shooting pains in my stomach previously. So after trying to better four of my biggest worries and wanting to help the issues of my Stomach cramps and bloating , I also took another step to help me along the way . The change in Smoking, drinking fizzy drinks, eating and sleeping had helped me immensly and I do see a drastic change in my bloating by the time it had come to my third day but there was also something else I was trying to help speed up the process a little and that was Symprove. 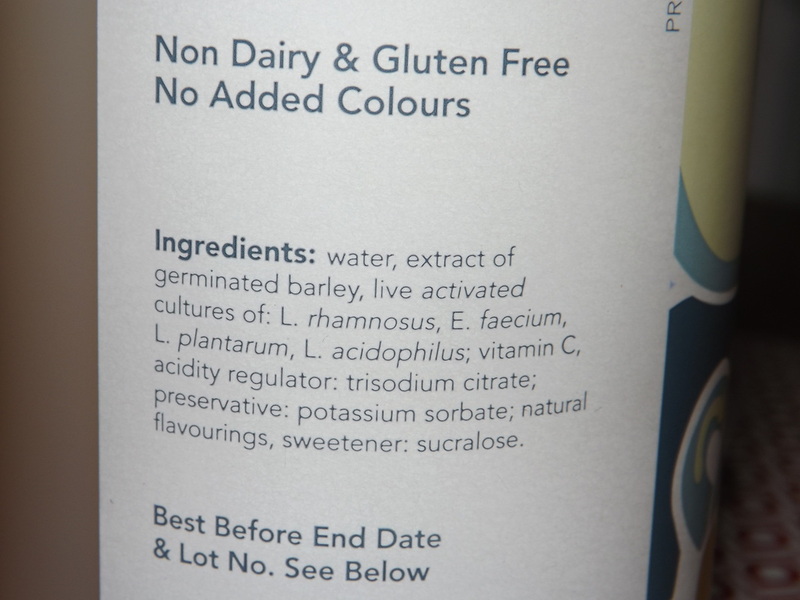 Symprove is a Probiotic drink . Probiotic drinks are live bacteria and yeasts that are good for your health. Although some people think of bacteria as a bad thing, our body holds some good bacteria also which is good and helpful to making the body work and get through illness and disease. Probiotic drinks are used for helping the digestive system and are a quick and easy way of fighting the bad bacteria in the gutt. 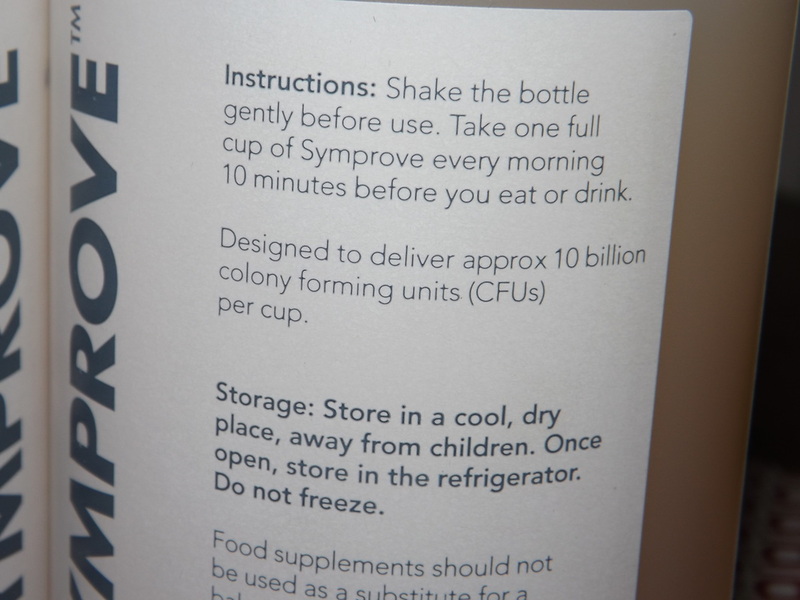 I was recently sent two bottles of Symprove . 1 bottle lasts one week and I have just finished my first week dose. For me , fad dieting, juicing and supplementing or replacing foods with something that is not a complete meal is something I have never ever agreed with . I am the type of person that believes that if you want to lose a little weight or feel a little healthier , then you should move your lifestyle into a healthier direction such as eating better foods and in smaller proportions and looking at your other parts of your lifestyle such as drinking fizzy pops/alcohol and smoking and exercise can dramatically reduce the negative effects which come with the poor diets and routines that your body has succumbed to. 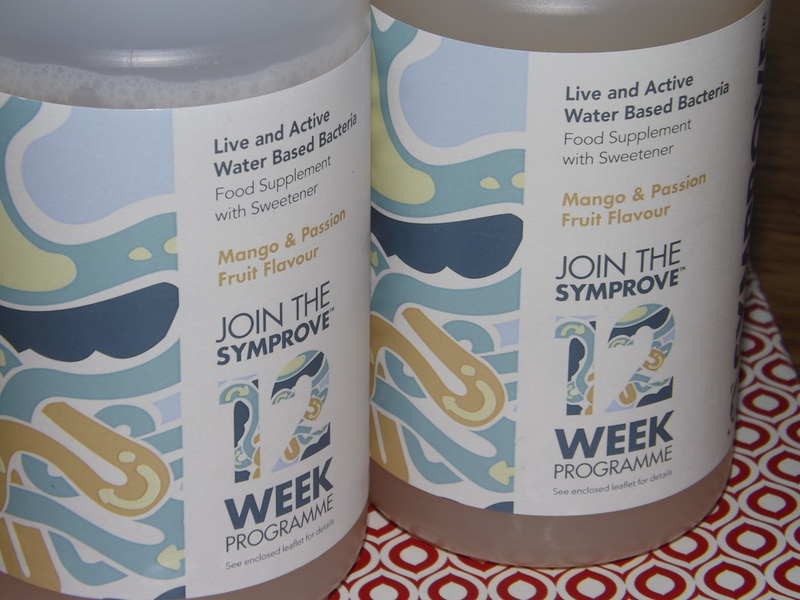 Over the past week, I have not only lowered my intake of fizzy drinks, caffeine , white foods and also sticking at quitting smoking which I am not on my fifth week but I have also been taking the Symprove Probiotic Drink as instructed . 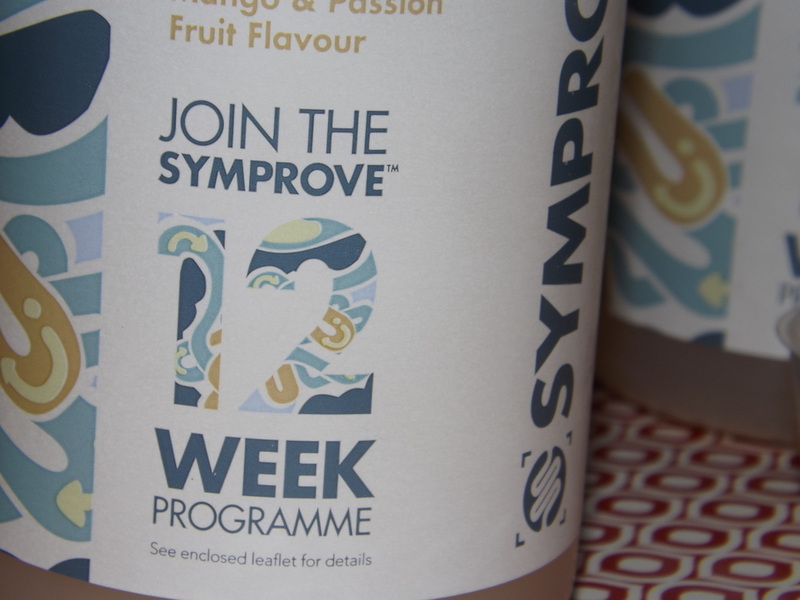 Symprove comes in two different flavours , original or Mango & Passion fruit which seemed more appealing to me . Unfortunately that lovely mango and passion fruit does not taste nice but in all respect , I really was not expecting it to (I do think these things would taste nicer hidden inside a nice yogurt instead) . Sorry , I HAVE TO BE HONEST, it was vile in taste and it was a struggle to drink each day due to its unfortunate flavour. 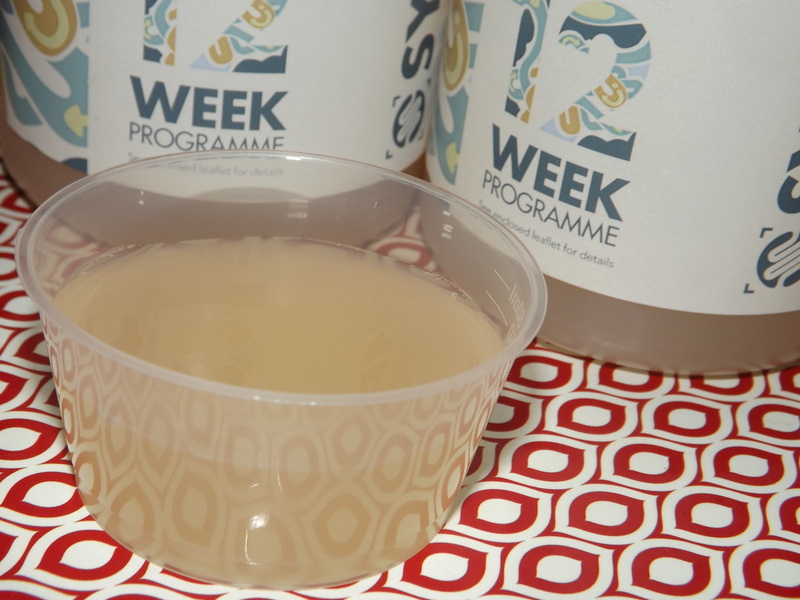 Having only tried one week I really have not seen much difference although I have had lessened stomach cramps and bloating but I do feel that is also down to my other aspects of lifestyle changes that has happened recently . Looking for an instant cure will not happen over just one week and I am sure I would have to try this product in their 12 week programme to see any effects . The only problem I can find is that this programme can be quite pricey. If you buy a full 8 weeks or 2x 4 weeks worth of Symprove you will then receive your last 4 weeks for completely free . I will continue for the next week and let you know how I get on . Have you tried this or do you think it is not worth it, do you prefer to change your lifestyle or reach for a probiotic yogurt at a cheaper cost? Let me know in the comments below and come back next week to see if the second week made any more of a difference. It is the beginning of the year and although January is nearly over and done with , many of us are still struggling to scrape two pennies together to make a meal for our family and I myself have also had a tight budget on food this month which leads me to believe I am not the only one . Basically , if you are looking for a small budget meal then this is a great book to find some great ideas. Ooberkids are an online community where every child is unique and they offer Key stage educational learning and cookery and yoga materials also for online and also at home learning. 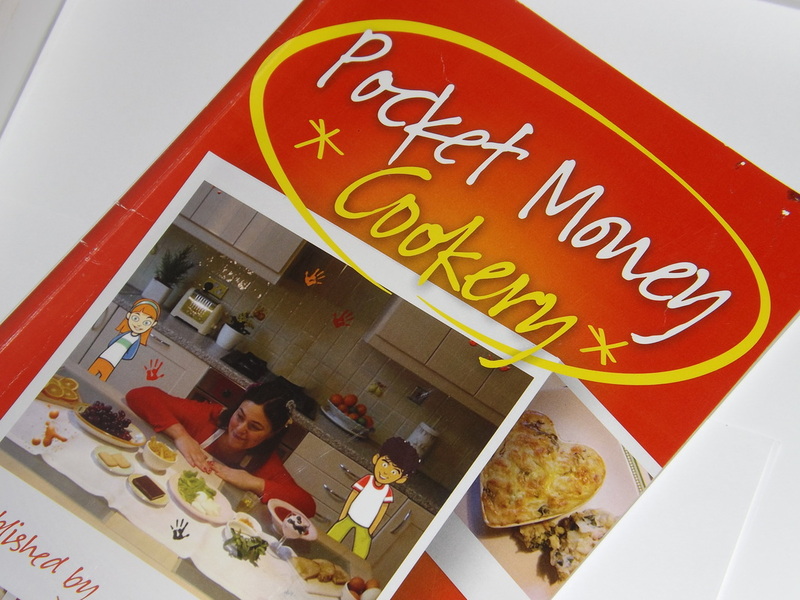 This book is not only great for budgeting your meals with some new and interesting ideas but also a great idea for kids to get the hands on experience due to them being very easy to make recipes also. Paper back including 10 easy, healthy and value for money MEDITERRANEAN traditional recipes, featuring quirky facts about the food used, health and safety tips and historical insight. 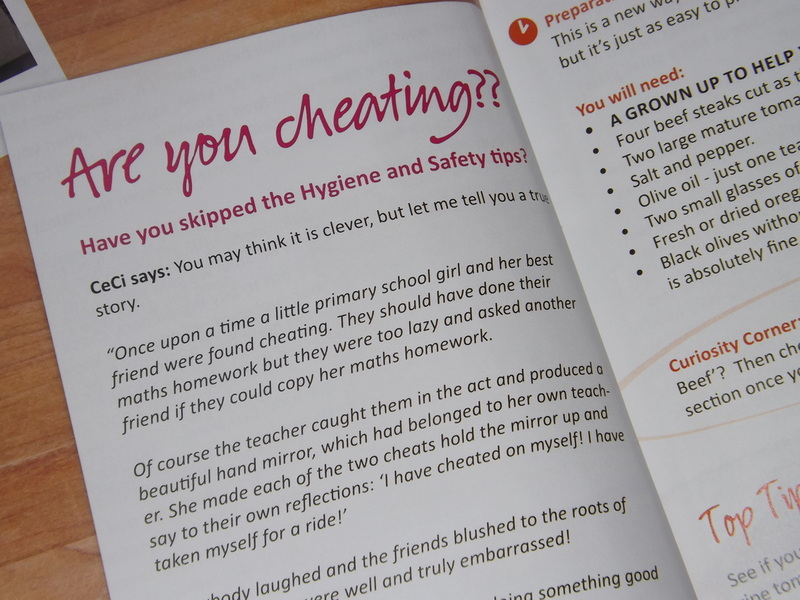 The book also includes tips by nutritionist Jessica Scott. To encourage your kids to use this book as much as possible, we have designed it as a colourful handbook. 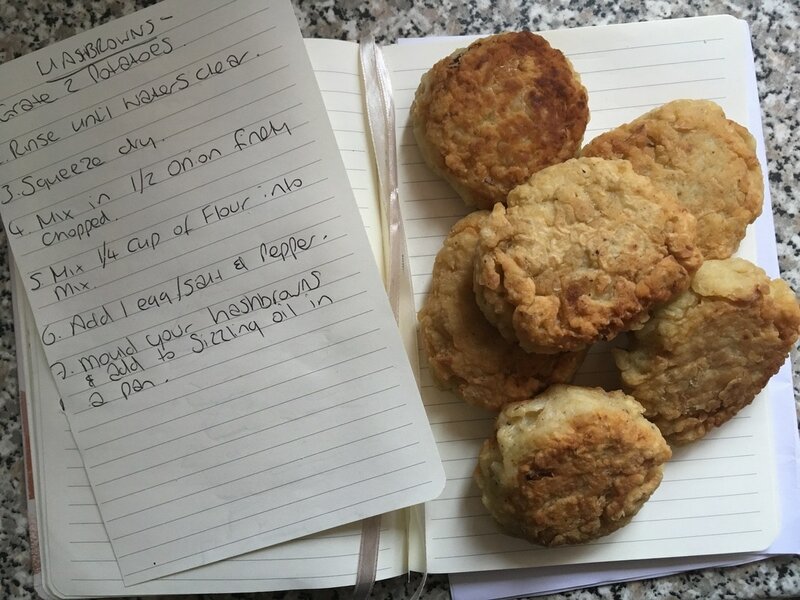 There is also space for your children to write down their own oober recipes! We call this concept cookery+ and hope you enjoy exploring it. The great thing about this book is not only does it give you affordable ideas to feed the family but it also shares with you the do's and do nots of the kitchen and also a little lesson on why it is wrong to cheat in life giving you an aim to remember to be hygienic in the kitchen . 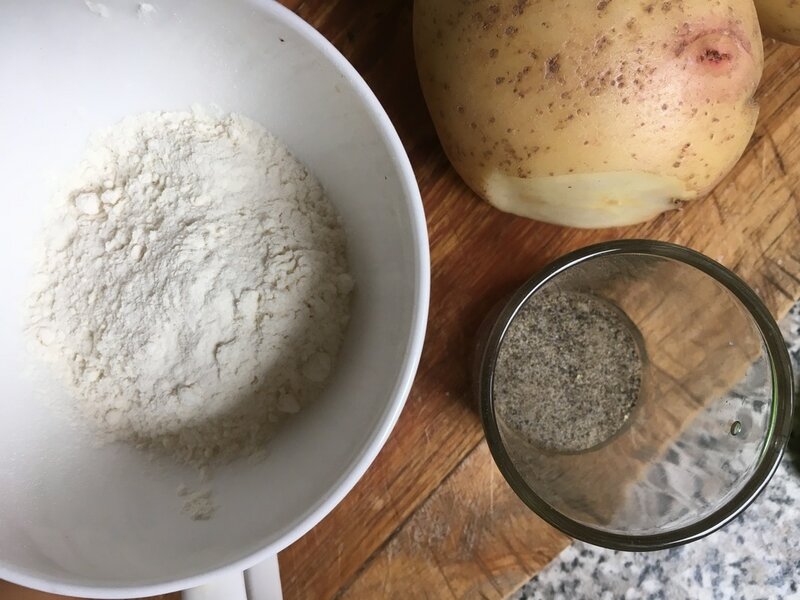 For having a small budget after the Christmas season especially, we always seem to have three ingredients in the kitchen that can be stocked up for a small fee and make full meals and that is Eggs and bread and tinned tomatoes. 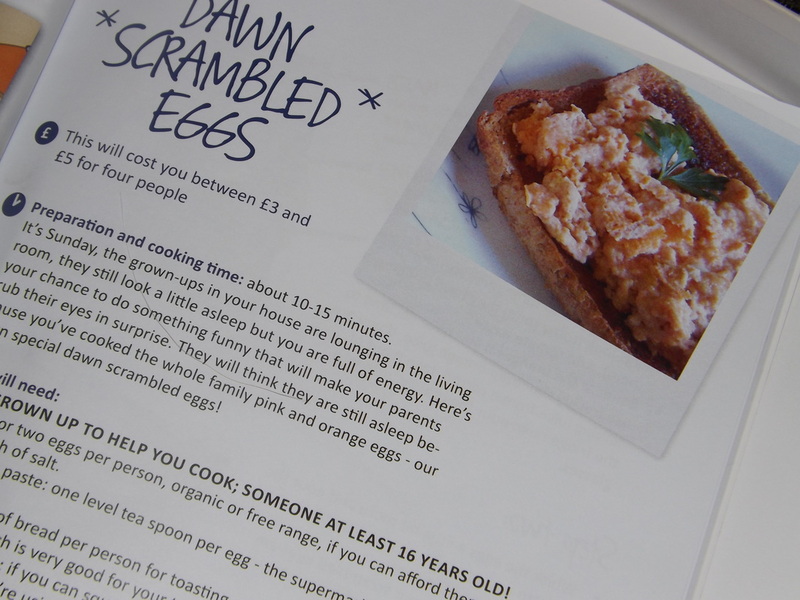 This is something I would never have mixed together but in the Pocket Money Cookery Book , those three ingredients make a meal and I for one was sure to try it especially as me and my youngest son love a similar meal for our breakfast. I found out recently that tinned tomatoes are far more better than Fresh tomatoes (especially in the colder months such as January and there abouts) which surprised me and made my jaw drop a little . Canned tomatoes (as opposed to fresh) are an excellent source of the antioxidant lycopene, shown to help lower the risk of heart disease, prostate cancer and macular degeneration (poor eyesight as you get older). For this reason I prefer to buy plenty of tinned tomatoes as my main source for bolognese, lasagne, curry sauces as apposed to fresh, they are cheaper and last longer so no worry of wasting if not used straight away and no more wasting any more pennies than needed. Tinned tomatoes sometimes (depending on the brand) can carry a lot more salt than fresh tomatoes though so if this is a worry of yours , please ensure you check the labels . 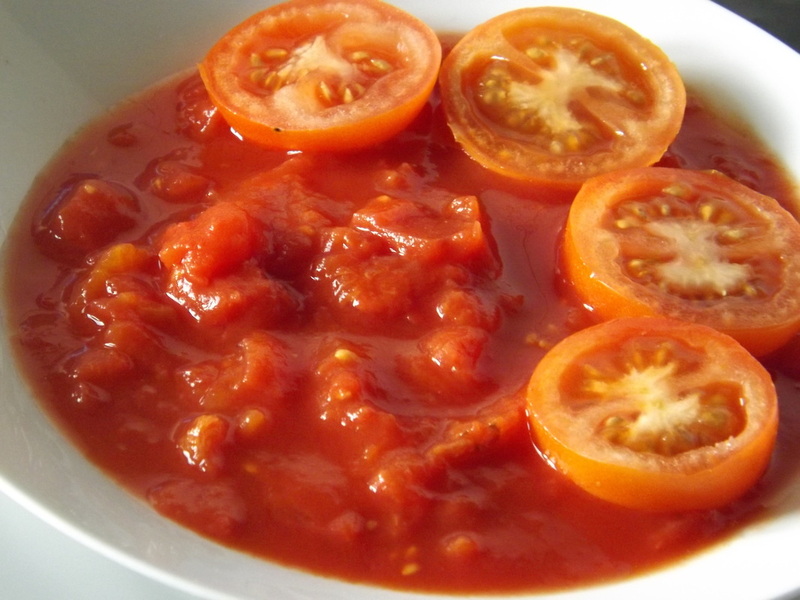 Although this recipe asks you to use tomato paste , I went for a more healthy option and chose tinned tomatoes instead. Anyway , back to the book. The recipe I chose to show you from the book is one that I make often but seeing that they add that extra ingredient 'Tomatoes', I thought it only fare to give it a try . Especially as youngest son is hard to get tomatoes into . The cost of this meal is slightly more in the book than what I actually payed for it which to me is better for us penny pinchers (maybe they wanted to add a little more incase of inflation , you know what the cost if food items are like these days , forever going up ). So in fact my bargain hunting budget meal will not only feed 4 people but in fact 6 . 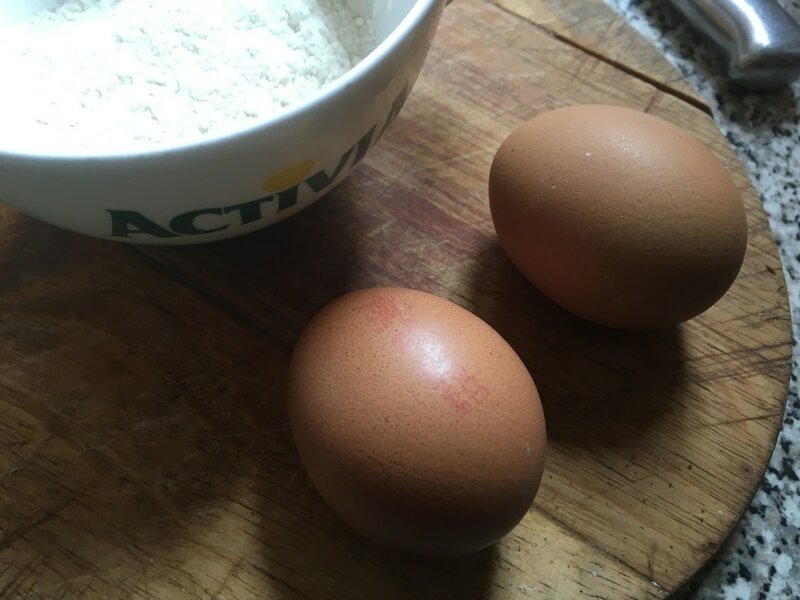 This only takes 10-15 minutes as instructed in the book , and the time seems correct , but let me share with you a little cheat to my egg cooking . First ensure your work surface is clean and your hands are washed . 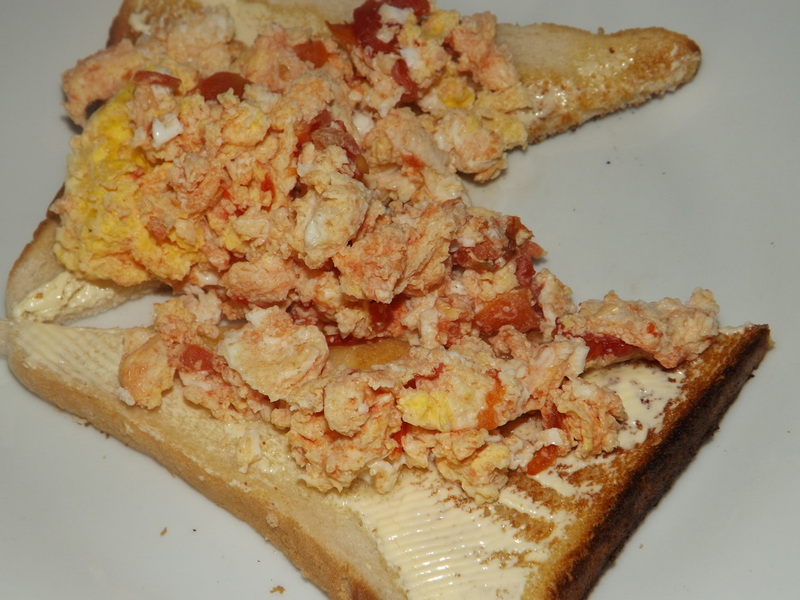 Drain of the tinned tomatoes and Place Half of them in with the eggs. Mix them both together then place the bowl into the microwave. 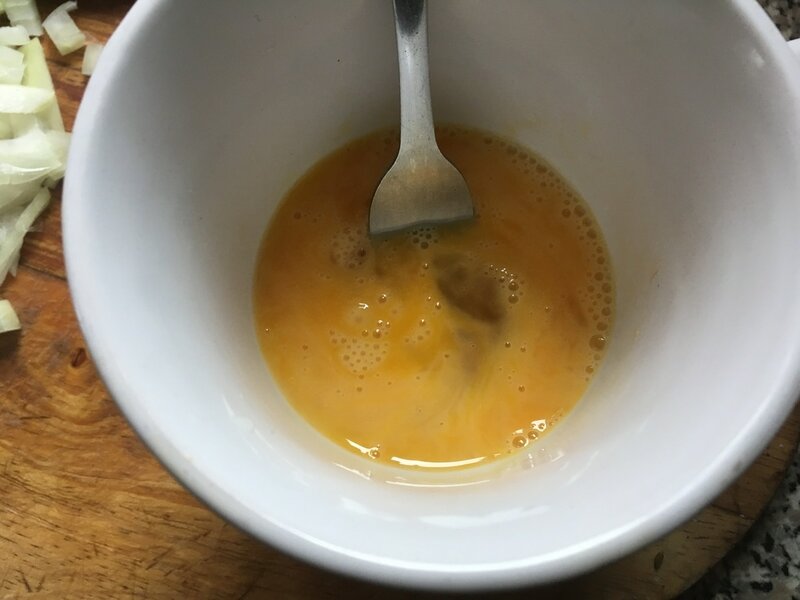 Cook the mix in your microwave for 5 minutes (if the mix is still wet then add another minute and keep checking until it is a soft fluffy egg mass). Place the bread into the toaster . Use a fork to mix the cooked eggs and place them onto the toast . Pour the orange juice into a glass and serve. Doesn't it look delightful ? To be honest, I don't think it does ,but it tastes lovely ! The instructions in the book were very easy to understand and this was easy enough for my 4 year old son to make himself (with my supervision of course). This little joy is great for those quick easy to make meals on a budget and if you have little ones it is also a great tool (especially years 6 and plus mostly) to learn about hygiene and tips in the kitchen. So what do you think about this wonderful little pocket saver? Green tea helps reduce risk of heart disease, osteoporosis, cancer and cavities. Green tea contains a rich concentration of flavonoids and polyphenols, natural antioxidants that may protect cells from carcinogens (cancer-causing substances) and inhibit tumor growth by helping to neutralize free radicals in the body. It's thought the tea's antioxidants may also guard against heart disease by relaxing blood vessels, inhibiting the formation of blood clots that trigger heart attacks and strokes. Green tea also contains fluoride, which strengthens teeth; the flavonoids may build up bones as well, reducing the risk of osteoporosis and also tooth decay. So give it a go. 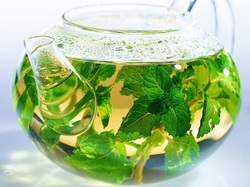 Mint tea is excellent for easing cramps and helps digestion keep right, by promoting the movement of food through the digestive tract Mint is an antispasmodic, so it can relax muscles, which combats stiffness and aches. It also stabilizes blood sugar, so you're less likely to reach for the snacks or cravings. Milk is the ideal source of calcium, because it contains vitamin D, which is needed for maximum calcium absorption. It may also help your body stop storing fat. In a recent study, women who consumed three to four servings of low-fat dairy foods (milk being one) lost nearly twice as much weight as those who took in lower amounts. "The calcium causes your body's cells to burn the fat instead of holding on to it," . "This makes it easier to reach and maintain your goal weight. 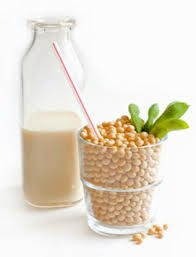 Soy milk contains soluble fiber and soy protein, which lowers LDL (bad) cholesterol levels and triglycerides, reducing the risk of cardiovascular disease. Soy contains phytoestrogens, which may be linked to an increased risk of breast cancer. Hot chocolate Improves mood and may help protect against heart disease .Chocolate increases the production of the neurotransmitter serotonin, which is responsible for regulating mood. (Low levels of serotonin have been associated with depression). Cocoa is also rich in polyphenols, plant-derived antioxidants that may protect cells against oxidative damage that can lower HDL (good) cholesterol levels, possibly putting you at higher risk for a heart attack. Low-Sodium Tomato Juice may protect against numerous cancers. Processed tomato products are the richest source of the antioxidant lycopene, which has been associated with a reduced risk of lung and stomach cancer, as well as pancreatic, colorectal, esophageal, oral, breast, and cervical cancers. Lycopene also appears to protect the lungs and heart against oxidative damage, helping to ward off cardiovascular disease. Cranberry Juice helps prevent gum disease. The same antibacterial properties present in cranberry juice that fight off urinary tract infections may also protect against periodontal disease. A component of the juice called nondialysable material (NDM) inhibits bacteria from sticking to the gums. Many nutritionists are wary of fruit juices because of their sugar content, so limit your intake to no more than one glass (6 to 8 ounces) daily. Make sure the label says 100 percent juice, not 'juice drink' or 'cocktail. Orange Juice may ward off cataracts, cancers, and birth defects and boost immunity. An excellent source of vitamin C, orange juice is also a potent antioxidant that may protect against a variety of diseases including cataracts (a clouding of the eye's lens that can lead to blindness) and lung cancer. Vitamin C may prevent oxidative damage that can cause cells to become cancerous, and it improves immune-cell functioning, enabling your body to fight off infections more efficiently. And it's a good source of folate, which protects against neural-tube defects in fetuses. To get the extra benefit of bone protection, try some calcium-fortified orange juice.